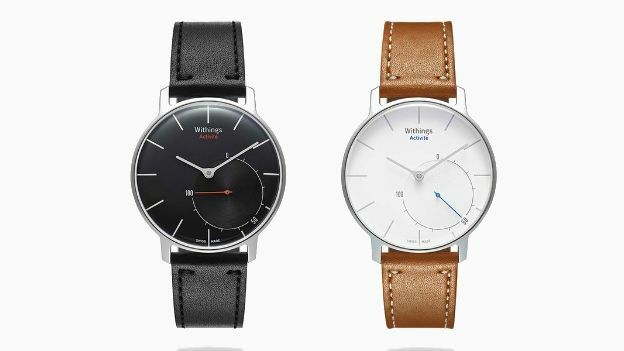 Pre-orders have opened for the Withings Activité, the suave luxury watch that doubles as a fitness tracker. Ahead of its November 25 release date, the Withings Activité has gone up for pre-order via the company's online store. The stylish fitness tracker comes with a hefty £320 price tag, albeit this really is a watch for many moments. Instead of going for the rubber band look like most fitness trackers, the Activité is a proper Swiss-Made analogue watch with a leather strap that you'd be proud to don at any fancy meal. Then under the hood it's got all the tech you'd expect from a fitness tracker, capable of measuring the usual things like steps taken, distance travelled and calories burnt. It'll let you connect via Bluetooth LE to your smartphone and feed the data straight to you. There's a second dial on the face that measures the percentage progress against your activity targets. The year-long watch battery inside also saves the heartache of having to regularly charge it up. The French firm has taken a style over substance approach and insists that the Activité will not rival the likes of next year's Apple Watch. Instead it's aimed at technophiles seeking a more subtle timepiece that's fit for many occasions. The Withings Activité will be available in a choice of black and silver on release.